Across most of the country, harvest regulations for panfish have become increasingly conservative and complex. Daily bag limits remain the primary tool used to regulate harvest of species such as bluegill, crappies, white bass, and yellow perch. Over the last decade, many states have reduced daily limits for panfish, and instances of no bag limit or limits exceeding 50 fish are becoming harder to find. However, these new daily limits that often range from 10 to 30 fish per day are still considered too high to effectively reduce harvest, as few anglers achieve a daily limit and therefore are not required to release any fish. Experiments with daily bag limits of less than 10 fish per angler have shown promise on some waters, but have not proven universally effective. For many fisheries, daily bag limits of 5 fish or less could realistically reduce harvest, but angler opinion surveys often reveal that reductions of this magnitude are unpopular among a large contingent of anglers. Minimum-length limits for panfish also are more prevalent now than ten years ago. Initially, most of these regulations were enacted for crappie fisheries on southern waters, but their widespread application has permeated the northern tier of the U.S.. Little published evidence shows that regulating panfish has improved fishing, but the durations of most evaluations have been too short to detect effects in light of the natural ups and downs that occur within panfish populations. Conversely, many anglers believe these regulations have worked, despite that some improvements can be directly linked to natural fluctuations in year-class strength (i.e., a new cohort of fish reaching desirable sizes shortly after the regulation was enacted). In some instances minimum-length limits have done their job, but anglers are unhappy that they can't keep as many fish. In at least one case, this has resulted in removal of a minimum-length limit to placate angler desires. Managing panfish remains one of the most difficult problems facing biologists today. On a positive note, angler harvest rarely threatens the existence of panfish populations as sufficient numbers of fish remain to produce new cohorts of young fish. 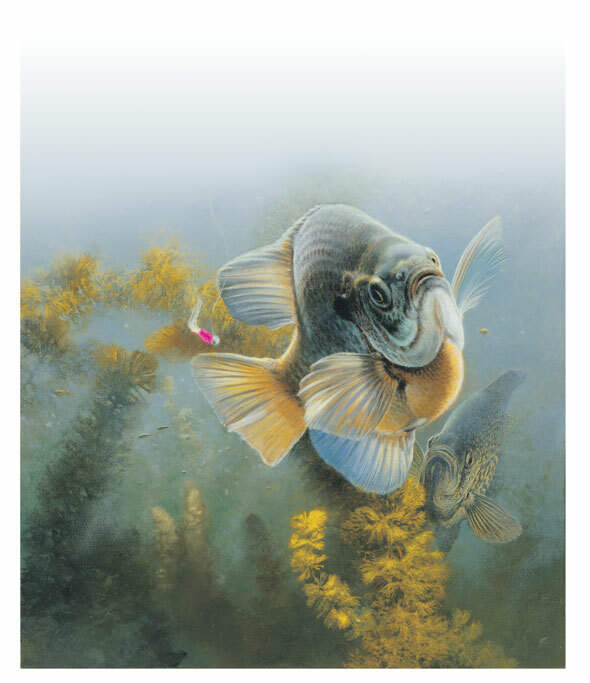 Panfish anglers are, however, largely harvest-oriented and size-selective, removing relatively large fish from the population, resulting in a dearth of larger fish that are desirable for harvest. Biologists refer to this as quality overfishing. Panfish populations also are inherently haphazard, producing pulses of larger fish at unpredictable intervals due to the vagaries of Mother Nature. Furthermore, natural mortality rates often exceed 40 percent or more, making it difficult to "save" fish. Reducing harvest may only result in more fish lost to natural causes and provide no net gain in the numbers of large fish available to anglers. Probably the biggest hurdle to improved fishing quality is the mantra of the modern angler who is infinitely mobile and overwhelmed with electronic information revealing the next best destination for larger panfish. Anglers are quick to exploit these new opportunities and can rapidly reduce a fishery to ho-hum status before moving on to the next hotspot. More stringent regulation of angler harvest won't improve panfish populations in all situations. Yet, harvest regulations can work if they are applied to fisheries where fish longevity and growth are sufficient to provide increases in numbers of large fish. Identifying these situations has become an increasingly important component of panfish management. In many cases, to be effective, harvest regulations need to be stringent, making them potentially unpopular among harvest-oriented anglers. Conversely, some angler surveys reveal that a small but growing number of anglers are interested in catching larger fish, even if that means fewer fish in the livewell. Conflicting angler interests, however, will be an unlikely problem for fisheries where stricter harvest regulations provide exceptional opportunities to catch truly large panfish — a bankable commodity that has become increasingly rare in many waters across North America. Daniel Isermann is a fisheries professor at the University of Wisconsin-Stevens Point and a frequent contributor to In-Fisherman publications. He has conducted several studies examining effects of harvest regulations on panfish populations.